Photo from left: Lycoming seniors Jack Abbate, Lindsay Decker and Michael Tusay join Dr. Cullen Chandler, professor in the college’s department of history, at the conference. 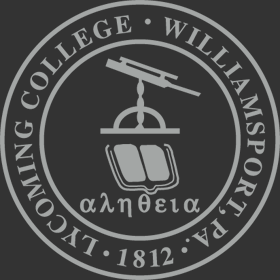 Three senior Lycoming students presented research at the 10th Annual Moravian College Undergraduate Conference on Medieval and Early Modern Studies in December. About 200 students, faculty and historians from about 30 colleges and universities attended the conference. The conference was open to all college students who conducted research about the Medieval and Early Modern periods in any field of study, including art, history, English, philosophy, religion or languages. Students also could present period musical or theatrical productions.